« Moving in Miami: Do I Need to Rent a Cargo Van? Moving in Los Angeles: Do I Need to Rent a Cargo Van? Moving can seem like an arduous task for many working-class people who barely have time to take a break let alone plan for a stressful move. There are lots of factors in a move that are difficult to anticipate. Will the new apartment or house be noisy? How difficult will my new commute be? Is there a lot of crime and gang activity in this area? Moving in Los Angeles can be an overwhelming feat of impossible questions. One of the best choices you can make when moving into any new area is keeping things as low-key as possible. You don’t want to alert people to the fact that you have a lot of possessions and are affluent in dense metropolitan areas. For your best security and interest, renting a cargo van is the ideal form of transport for many in The City of Angels. 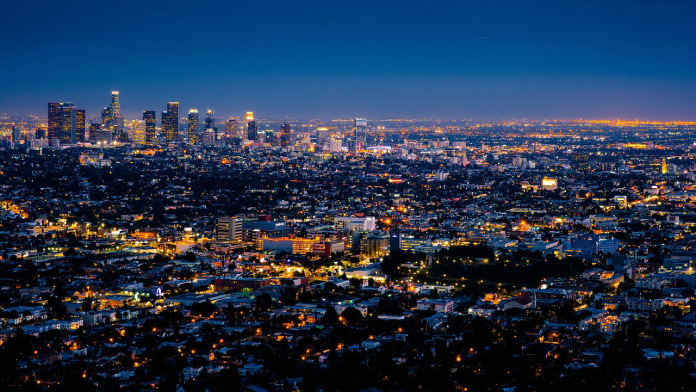 Los Angeles is home to a vast array of cargo van rental services. Below, we will try to address a few of your options by checking autumn rates about one-month in advance. This is the company that would facially appear to be the most convenient choice for renting a cargo van. After all, the company name couldn’t be any clearer. 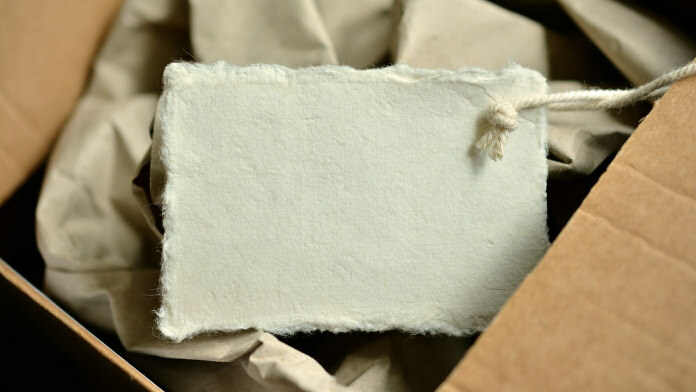 What we did notice when we tried to rent a cargo van from the online website, however, is that it rejected our itinerary for a simple 24-hour booking. It also requires the user to make further consultations to confirm the booking if it is for only a day and conveys questionable discretion to approve one-day rentals. There are no moving companies with more fame in the USA than U-Haul. 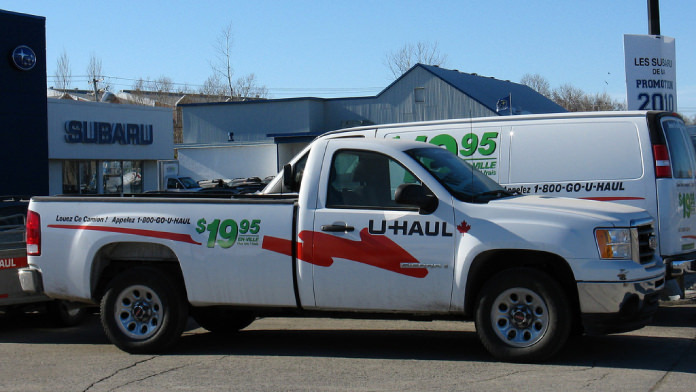 U-Haul is synonymous with quality moving equipment that is designed to please a broad range of consumers. They offer one-way transports and offer pre-calculated discount mileage rates for long trips. However, it may be difficult in some locations to obtain a one-way cargo van rental for very long distances. The dedication of U-Haul to serving the moving needs of Americans shines through by how well they have built their booking platform online. Just when it seemed like U-Haul had all the cargo van and options you could ever want, along comes Enterprise. Enterprise offers one-way trips from many locations. They feature a wider variety of cargo vans to provide movers with the versatility to fit all their goods without having to upgrade to a more difficult to operate U-Haul box truck. Enterprise features Compact, Standard, Heavy-Duty, and Heavy-Duty XL cargo vans in addition to box trucks. Although the name sounds alluring, this company was short on details when it came to renting a van. The pricing was not very competitive. They have a large selection of vans but not cargo vans per se. Even attempting to obtain answers through the online chat agent proved impossible. The process appeared to be automated and assumed you were booking a particular itinerary. The company offers the convenience of a few remote drop-off locations in Southern California and Phoenix, Arizona. Rather than the budget-conscious discount rates might one expect from a rental company named Budget, the Budget company rates seem to imply the opposite. Budget in this context appears to imply that you can rent a cargo van if you have a large enough budget. Although they weren’t the most expensive, the service seems pretty bare bones and short on incentives for paying more than the U-Haul price. Hypothetically, because they are not as large, the vans may be in better condition and less used. Maybe the Concord-slanted cab is an incentive if you want a uniquely styled moving van. All and all, it appears that frugal consumers who need an incentive to blow money have little need to look beyond Enterprise of U-Haul for their cargo van rental needs. These national chains have the best coverage for one-way trips and offer a wider range of features with the mover in mind. It appears that these other companies are set up in airports as more of a tourist trap. If there are incentives for booking cargo vans (in particular) with smaller companies, they are not obvious from the website booking applications.